That Tim Gane’s post-Stereolab band evoke retro-futurist visions of our technological past is practically a given – it’s part of their DNA, a fascination with the sounds and imagery of tomorrow’s world. 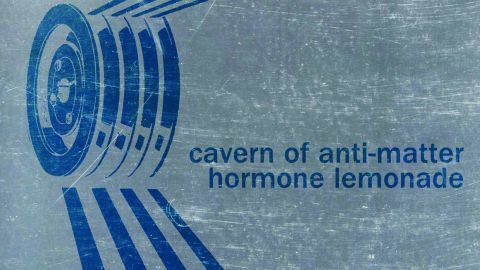 Yet Cavern Of Anti-Matter are still full of the pioneer spirit on Hormone Lemonade as they journey along the unexplored byways of electro rock, machine funk and avant disco. The album begins with the extended Malfunction, which initially suggests the theme to an 80s sci-fi drama, shifts up into a Krautronica gear, then bursts into solar flare brilliance. In contrast, Make Out Fade Out is grimy electronic pop worthy of Add N To (X). Songs constantly change direction: the pulsing arpeggios of Automatic Morning ease into a 70s library music groove until a computer-in-distress alarm channels Hawkwind’s sonic attack; the spooky Moog of Feed Me Magnetic Rain mutates into a harsh techno riff before drifting into an ambient reverie. Other tracks feature more guitar-led arrangements, with the folky picking of Remote Confection subsumed by droning swathes of analogue bliss. Like a meeting of science and nature in a hall of mirrors, it’s a synthedelic delight.